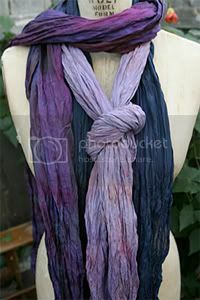 2nd Friday for June...Wearable Art Scarves by Susan Eastman! Ms. Eastman is a fiber artist who hand dyes her 100% silk scarves in her environmentally conscious San Francisco studio. She was recently featured at the De Young Museum. Her new collection is lightweight, colorful, and perfect for summer.